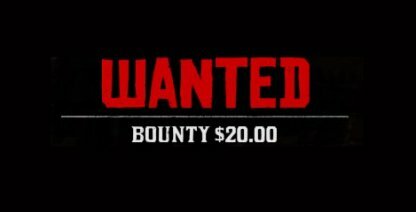 Find out everything to know about bounties, including how to get them, how to get rid of them, and what can you do to avoid getting bounties. 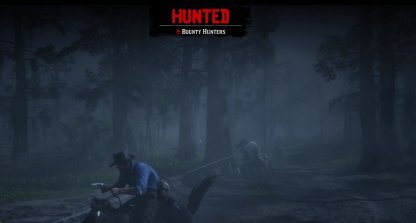 How Do You Get a Bounty? 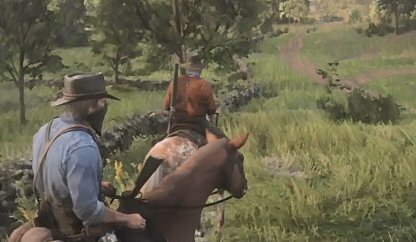 Arthur will get a bounty on his head whenever he does something illegal and it gets reported to the authorities. Witnesses are instrumental in getting crimes reported so keep an eye for anyone around. Each reported crime will accumulate to raise the price of your bounty. 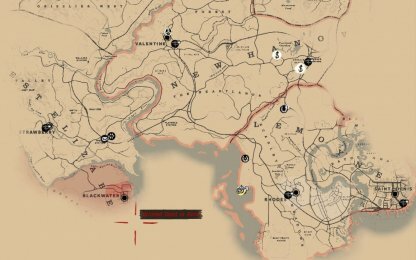 Doing multiple crimes in one town can net you a bounty of up to hundreds of dollars! There are separate bounties in each area that do not intercept each other. Crimes committed in an area will not affect the bounties you have in other towns and cities outside of that place. 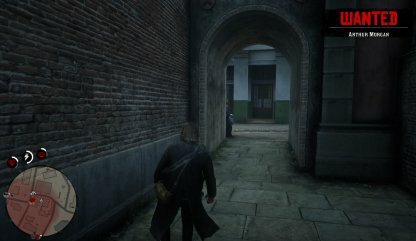 What Happens if You Get a Bounty? Once the crime has been reported, Lawmen will come to investigate and apprehend you if they get sight of you. You can either escape, surrender and be taken to jail, or die shooting. Even if you escape from the authorities during the initial investigation, you still need to keep your guard up going through town. 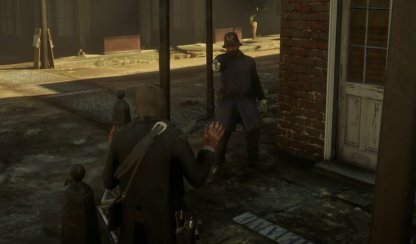 Lawmen will apprehend you if you go in their line of sight! 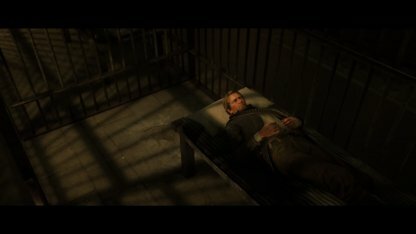 Arthur will spend time in jail if you decide to surrender to Lawmen. How long you will stay in jail is dependent on high your bounty is. If your bounty gets high enough, you will soon find yourself being hunted down by bounty hunters. These bounty hunters are relentless so either escape them or kill them before they kill you. With a high enough bounty, stores in the towns and cities where that bounty was posted will choose to refuse service to you. The only way around this is to lose the bounty on your head. Remove your bounty by simply paying it off at Post Offices and Train Stations in towns. You can even choose to pay individual bounties or pay them all off in one go. Surrender to the authorities and pay for your crimes with time. 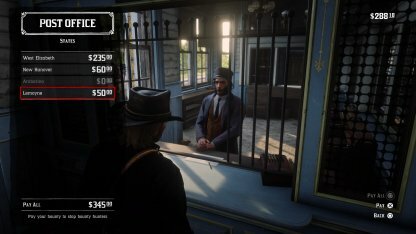 Arthur will be bounty-free by the time he gets out of jail. You will remain anonymous when you commit a crime while wearing a bandanna. This will prevent people from recognizing you and reporting you for the crime. 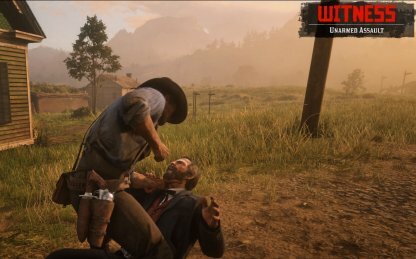 Players can choose to intimidate, beat, or even kill off witnesses if they want to. This can only work however if there's only one witness as multiple ones will just go off to report it.